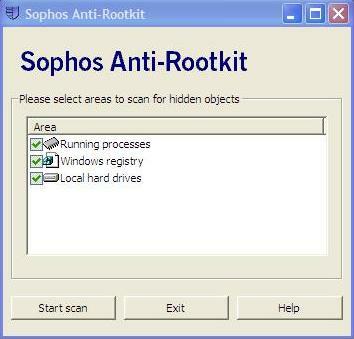 As part of my day job, I monitor various security-related email distribution lists and got this news that Sophos, a maker of a leading antivirus for corporates released a free tool to remove rootkits. 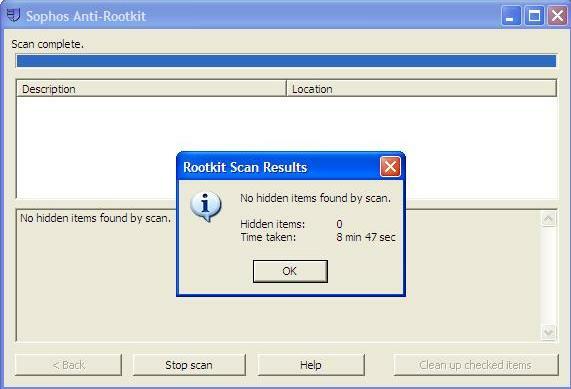 Now what is a rootkit? I'm actually too lazy to explain but you can read more about it from Sophos website. Click Start Scan and wait for results. I'm using a test PC to quarantine and luckily no rootkit was found. It's so simple, isn't it? Note that the tool doesn't have autoupdate feature so you regualrly have to check the latest snapshot of the tool here.